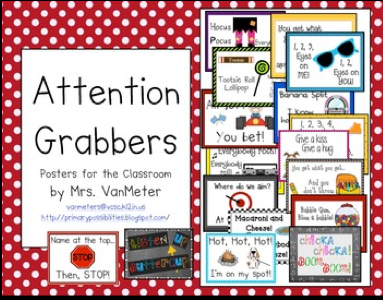 I recently updated the Attention Grabbers Pack. Here are pictures of the two new attention grabbers included in the packet. 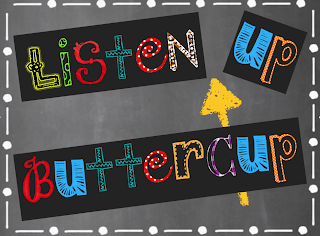 "Listen up"..... "Buttercup" is an attention grabber my colleague uses in her kindergarten class. It is a positive phrase to get your children to focus in and listen to directions. The teacher says, "listen up". The students say, "buttercup". Simple and to the point. I use "Chicka Chicka!" 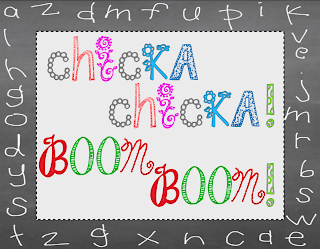 "Boom Boom" all the time in my kindergarten classroom. It is short and to the point. I use this phrase right when we line up and get ready to enter the hallway. I say, "chicka chicka" and students reply, "boom boom!" This is the way I get students to have eyes forward, mouths closed, and no gaps between the lines. I just LOVE these backgrounds!! I purchased them through TpT from Hello Literacy!! Jen Jones..... You rock!! 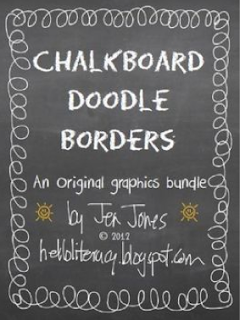 Here is a link to her chalkboard backgrounds. 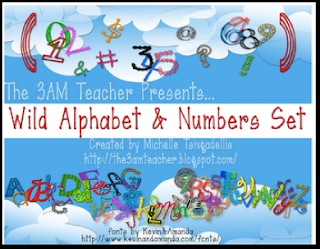 I also purchased the alphabet fonts through TpT from The 3am Teacher. Hree is a link to the fonts. Michelle..... You are incredible!! If you are interested in the Attention Grabbers Pack, click the image below. Thank you so much for the shout out! The letters look really cute the way you used them! !